How many people get on the train at your “El” or Metra stop each day? Which county’s roads make for the roughest ride? 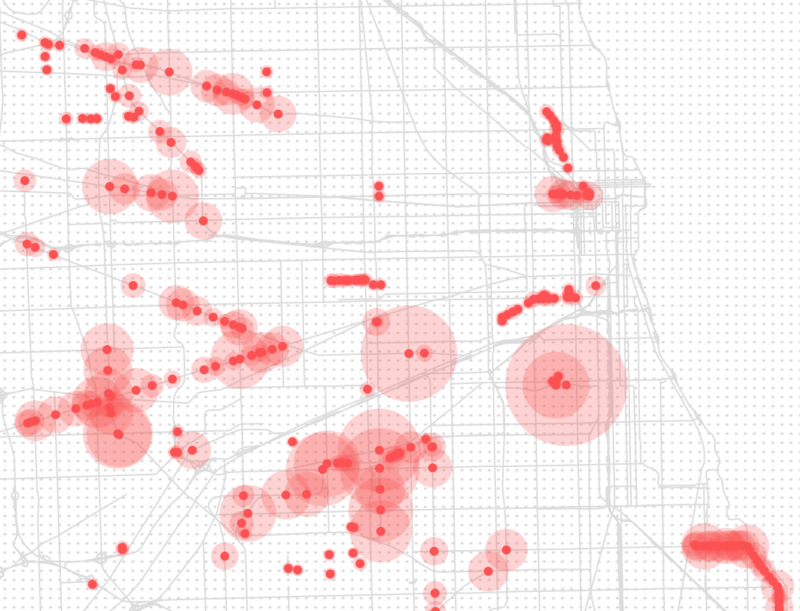 How long do Chicago-area drivers while away waiting for train crossings? 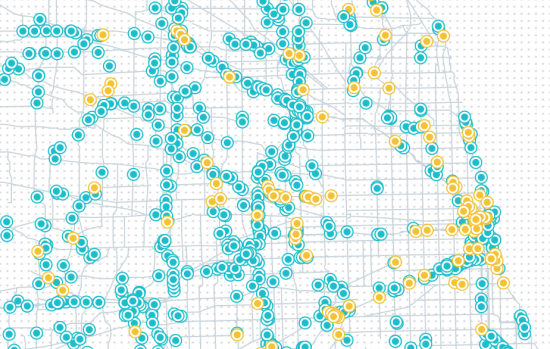 The Chicago Metropolitan Agency for Planning (CMAP) just unveiled a new tool to stir discussion about transportation in the greater Chicago area that can answer all of those questions, as well as many more about the regional transportation system as a whole. CMAP planners said they hope the interactive website, which is full of clickable maps and tables compiled from mountains of public data, will resonate with policy makers as well as frustrated commuters. When it comes to transportation infrastructure, Chicago has an embarrassment of riches—and a wealth of problems. Some 25 percent of the nation’s freight traffic travels through the region, but the seven-county region’s 1,468 rail crossings snarl traffic for a total delay of 7,817 person-hours every day. In total traffic ate up more than $6 billion in wasted time and fuel in 2011 across the roughly 30,000 miles of roads in Cook, Lake, McHenry, Will, Kane, Kendall and DuPage Counties. 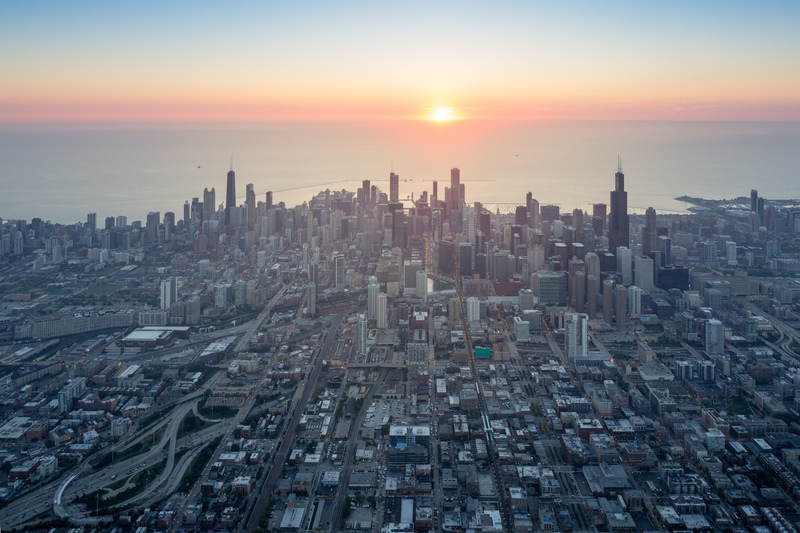 As the authors of GO TO 2040, the 2010 comprehensive plan that sought to renew Daniel Burnham’s regional vision, CMAP officials said they made the website to encourage more data-driven planning and regional policy. The website gives a mixed assessment of public transit in the region. While 71.5 percent of residents had at least moderate access to transit, progress on increasing that share of people has occurred at a slower rate so far than will be necessary to meet the 2040 goal of 78 percent, CMAP’s analysis shows. Although Chicago lauds its growing open data culture, CMAP’s Tom Garritano said arbitrary policies persist. For example Illinois’ 55/45 rule, whereby 55 percent of highway funds typically go downstate, while only 45 percent stay in the Chicago region—despite the fact that more than two-thirds of the state’s population and economic activity occurs in and around its largest city. While the website shows the region has made considerable progress on meeting GO TO 2040 goals in recent years, CMAP officials stressed that stats inflated with stimulus funding from the American Recovery and Reinvestment Act of 2009 may paint a rosier picture of transportation infrastructure’s finances. CMAP pointed to the declining share of crumbling roads and bridges in the area—without continued funding for maintenance, they said, that progress would soon be overwhelmed by mounting infrastructure repair needs. More than half of non-highway roads in Cook County were judged less than “acceptable,” but that figure was less than 10 percent in McHenry and Kendall counties. More than 300 bridges in the Chicago area were deemed “structurally deficient” in 2013—a distinction CMAP pointed out does not mean they are necessarily dangerous, just below civil engineering standards. The total share of deficient bridges in the area was 9.7 percent, slightly below the national average of 11.1 percent. A section of the site named “Forward” links to a public-private fundraising campaign called FUND 2040. Last year CMAP called for a quarter-penny sales tax hike that would net $300 million per year for infrastructure work. New spending, however needed, is politically risky in fiscally troubled Illinois, but CMAP’s ideological influence recently got a boost in Springfield. The agency’s executive director, Randy Blankenhorn, was recently appointed to head the Illinois Department of Transportation by incoming Republican Governor Bruce Rauner.